HomeCinemaMasalaRajkumar Rao’s untitled film receives raving reviews at MAMI! 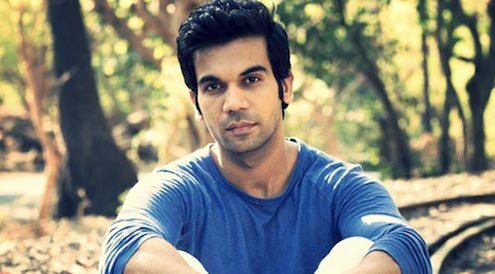 Rajkumar Rao’s untitled film receives raving reviews at MAMI! Rajkumar Rao marked a hatrick this year at MAMI, with his films being screened 3 times in a row at the film festival. The actor was back this year yet again with Vikram Aditya Motwane’s ‘Trapped’, which is a temporary working title given to the film for its MAMI premiere. The film’s screening witnessed a long que of audience eagerly awaiting the curtains to roll up. With a houseful theater, Vikram Aditya Motwane’s untitled film has garnered superlative response. Movie buffs and film critics have applauded the film, touting it to be Rajkumar Rao’s best performance till date. The National Award winning actor, Rajkumar Rao has delivered yet another power packed performance by exhibiting his acting prowess in Vikram Aditya Motwane’s survival drama. The actor who has gone above and beyond to add depth to his character, followed a diet consisting of Carrot and Coffee for nearly 20 days to project his survival journey. With his captivating acting, Rajkumar Rao keeps viewers engaged all throughout the film, leaving a sense of feeling trapped by the audience. The actor with his effortless depiction of his onscreen character draws instant connectivity with the audience, thus creating relatibility with his onscreen character. Overall Rajkumar’s depiction of being trapped in a house is as realistic as it can get. Produced by Phantom Productions, the film is directed by Vikramaditya Motwane. The film marks to be Vikramaditya Motwane’s third association with Rajkumar Rao with the first two being the critically acclaimed Queen and their upcoming black comedy titled Newton. Team Bareilly ki Barfi send out Barfi’s from Bareilly on Diwali. What Does Consent Mean When Saying “No” Has Consequences?